I know what you’re thinking – this has to be the most intimidating part of Harper construction, right? 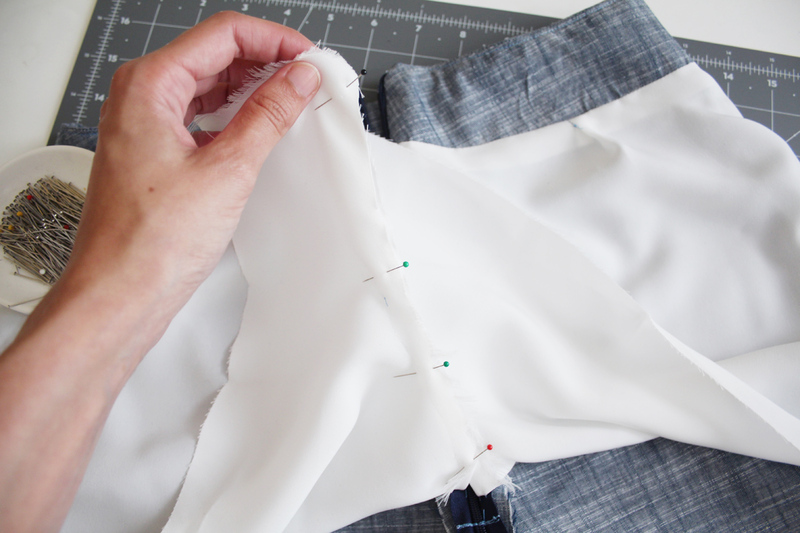 While attaching the lining to a pair of shorts or pants may technically be the most complicated step, it’s actually not complicated at all. It’s pretty easy, in fact. So please don’t be intimidated! 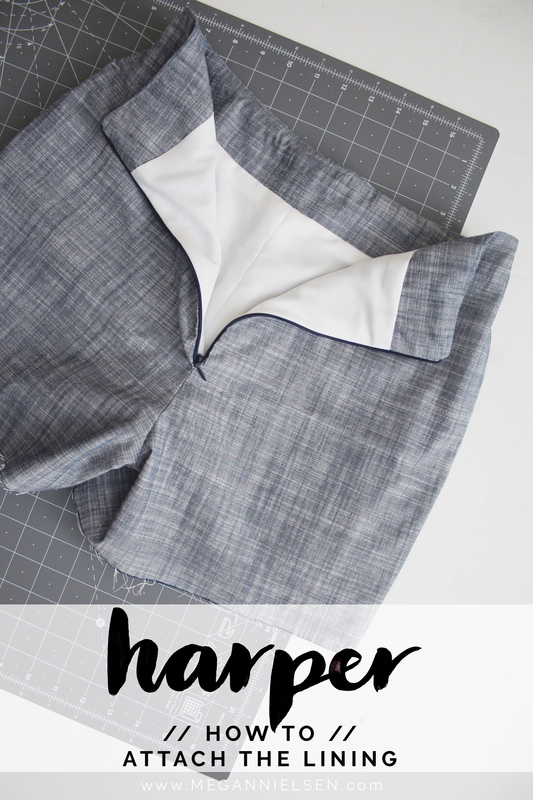 I’m going to break it down step by step for you, and you’re going to have a smooth, cleanly finished, lined pair of Harper shorts in no time. And everything you will see here applies to both versions – shorts or skort (or pants, if you decide to make the variation we will be showing you soon!). 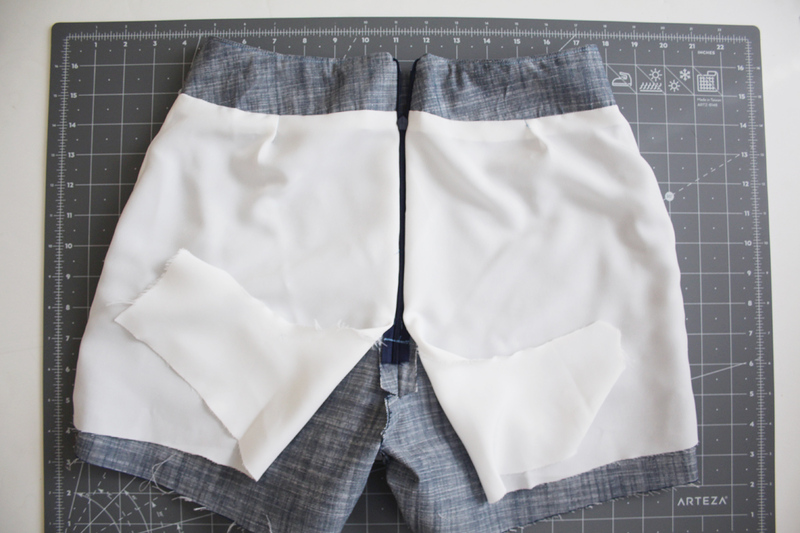 With your shorts or skort right side facing you, unzip your zipper and flip the zipper tape/seam out so that it lies flat. 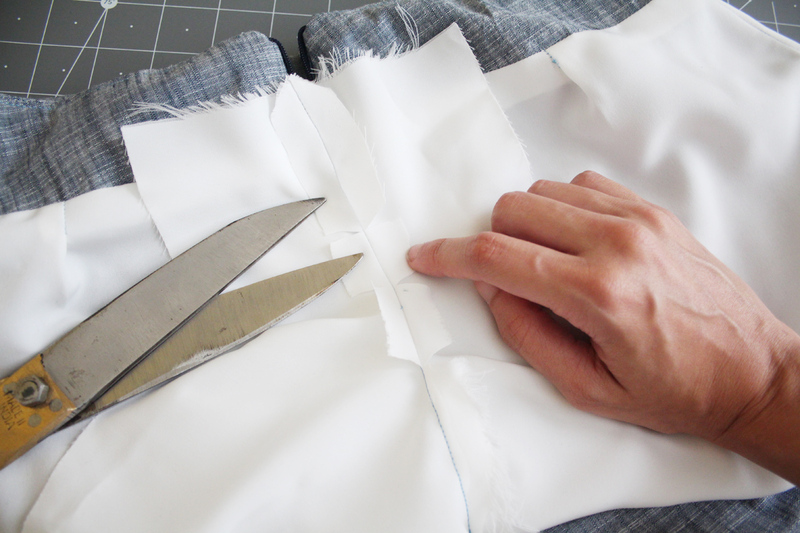 Place your lining/facing down so that the right sides of the fabric are together. Match up the waistline, corner, and center back edge. Also match up the notches along the waistline. Pin it in place. 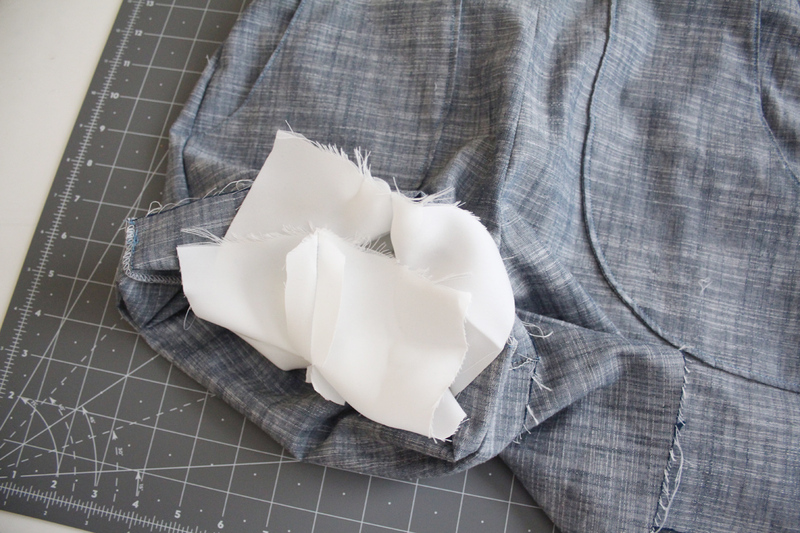 Sew the facing to the shorts along the waistline only first, 5/8″ from the edge. Flip the lining up so everything is open and the wrong sides are facing you. 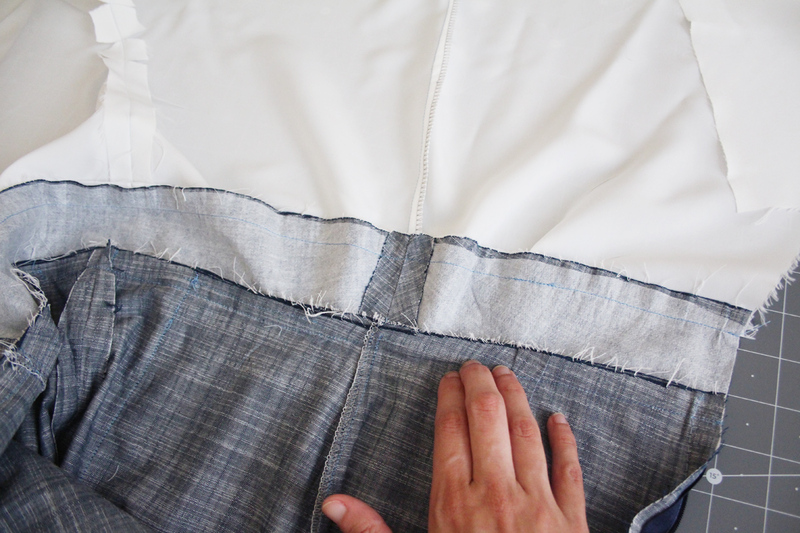 Press the waistline seam allowance towards the facing. 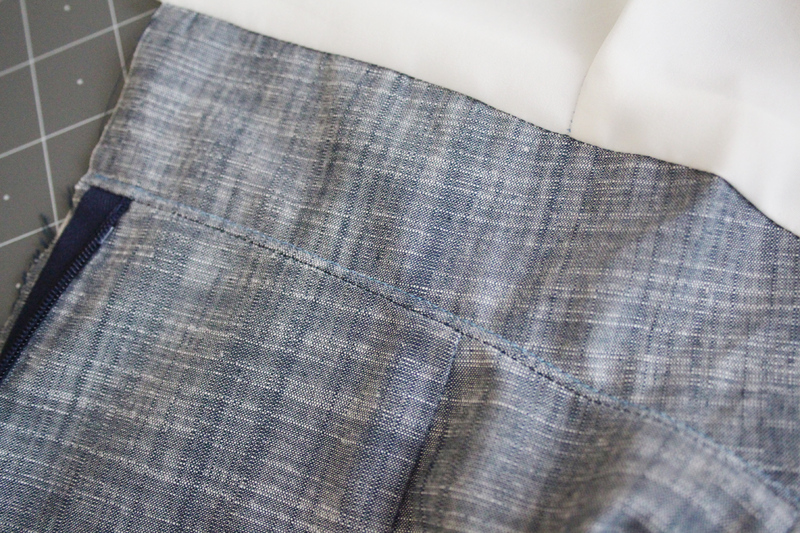 Turn over to the right side, and under stitch the seam allowance to the facing, close to the seam. This prevents the facing from rolling to the outside. 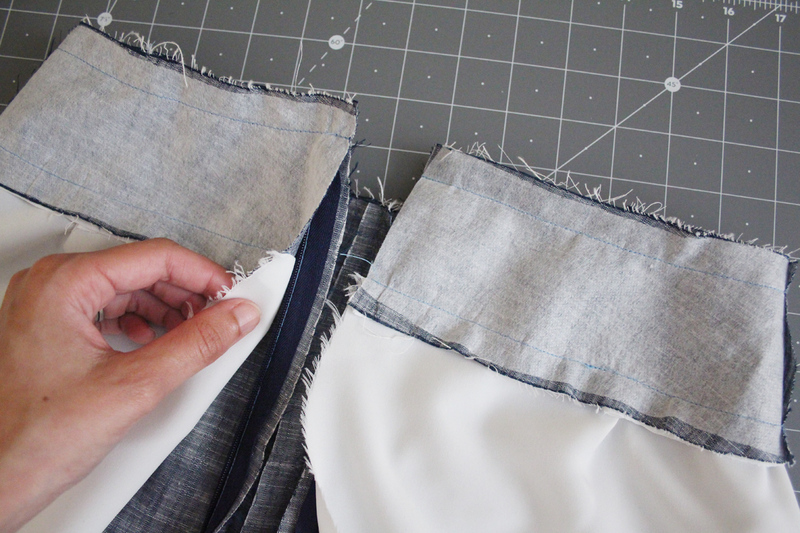 You can then trim back the seam allowance, if you’d like. 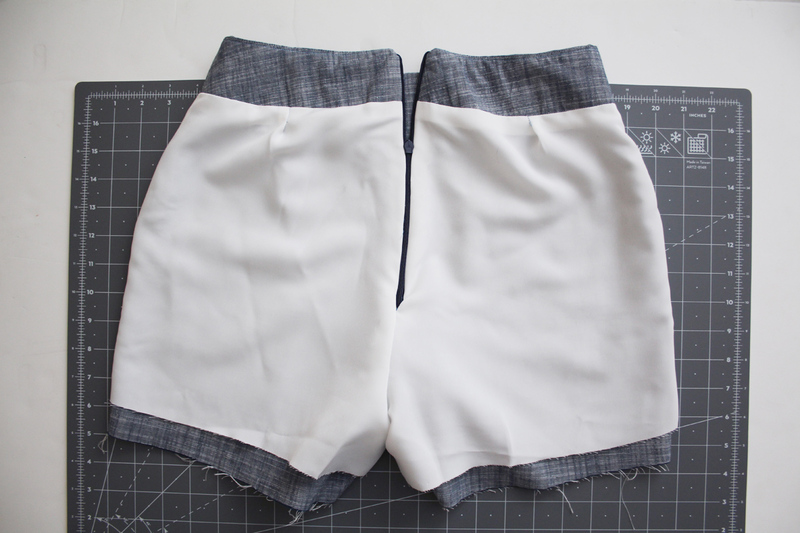 Especially if you are working with a thick fabric, or are making the skort which has more layers at the waistline. 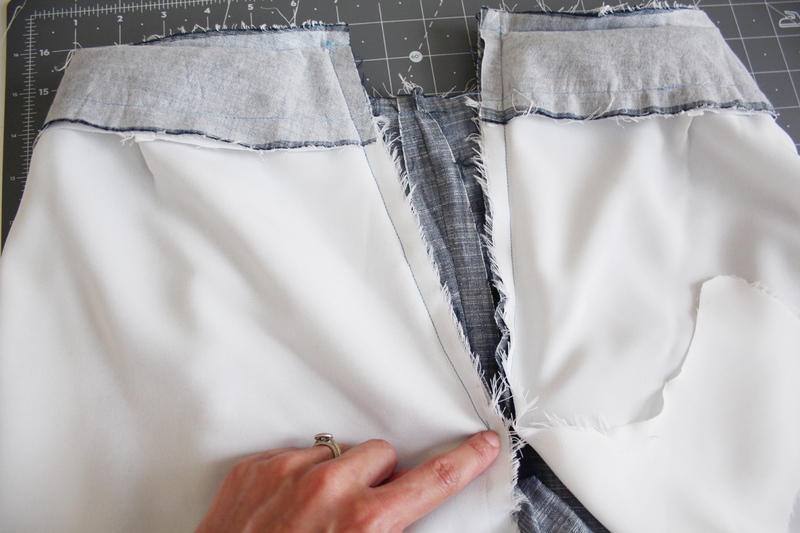 Flip your lining/facing back down so that the right sides are together again. 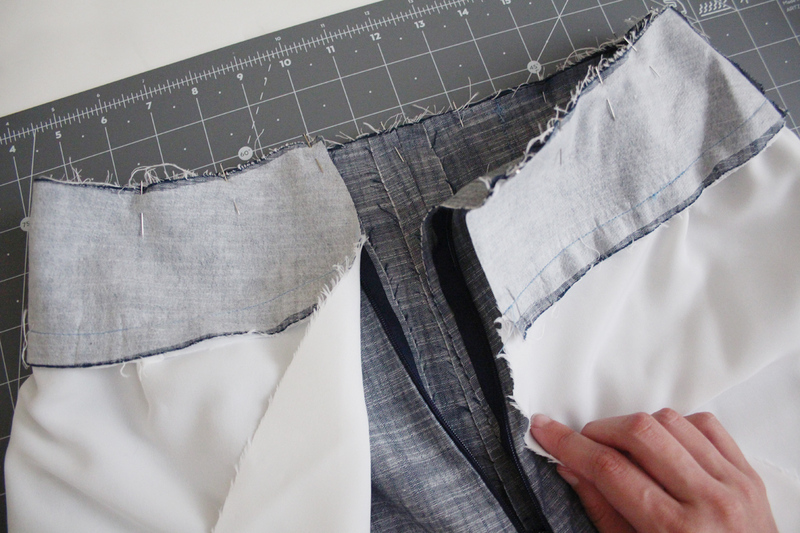 Match up the raw edges of the center back seams and pin, down to the bottom of the zipper. 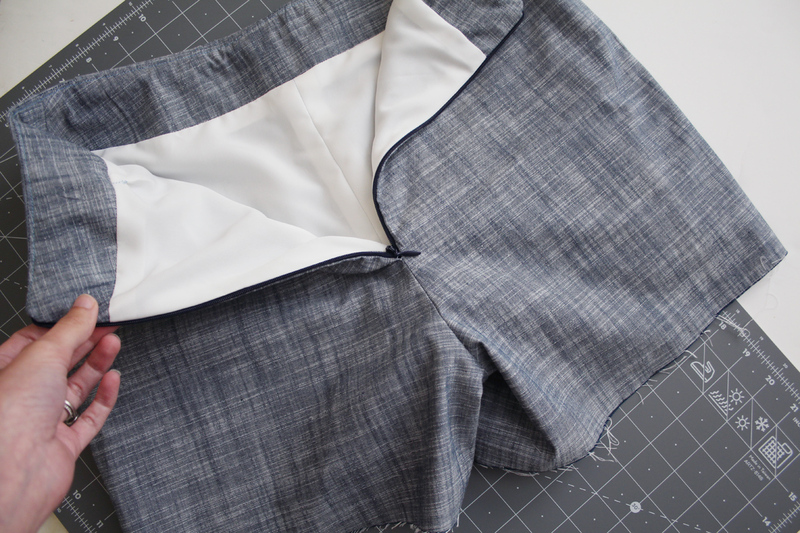 Sew the lining to the zipper at the center back seams. This should be just under 1/2″ from the raw edge, right along side the zipper teeth, which is sandwiched in between the two fabrics. 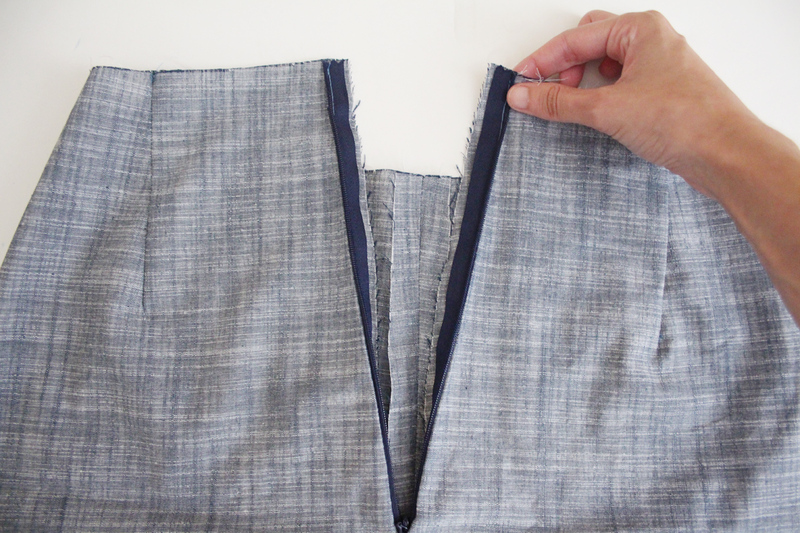 The easiest way to do this is use your zipper foot, just like you did when you attached the zipper. 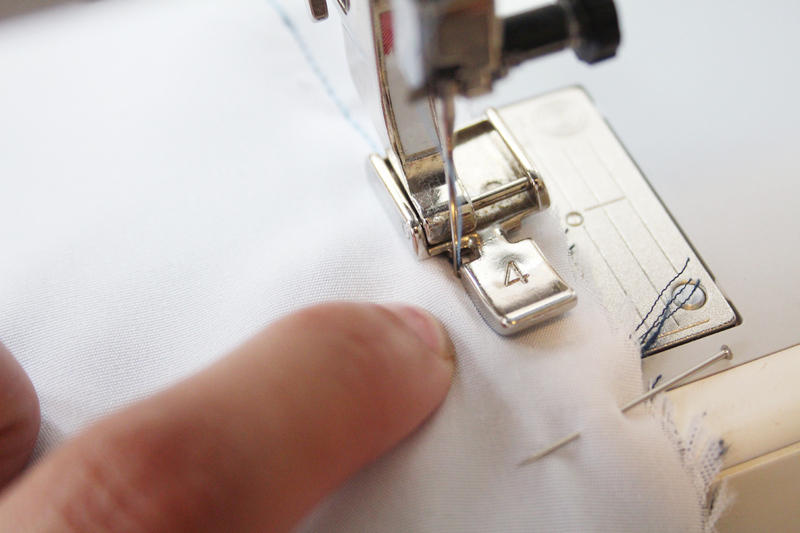 Sew down until you hit the zipper pull. We now need to sew up the rest of the center back seam. I found it easier to first turn everything right way around, so the wrong sides of the lining and main fabric are now facing each other. 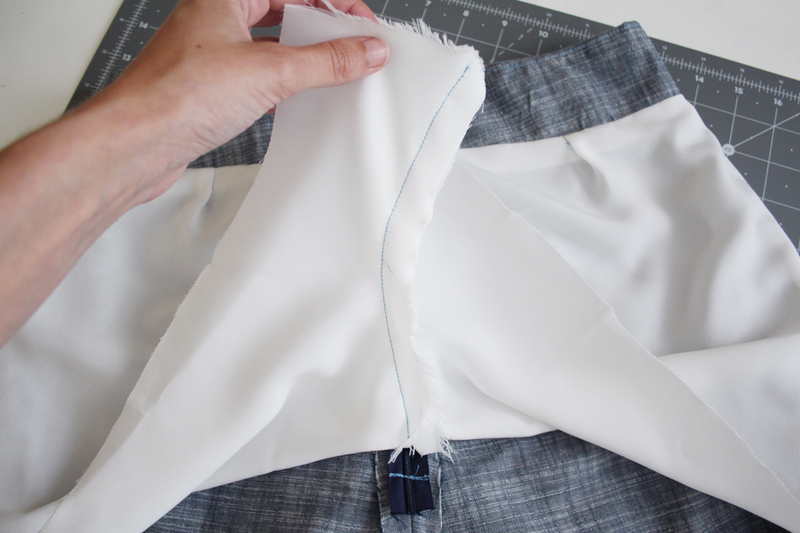 You may want to clip the upper corners of the center back seam first before turning around, being careful not to cut through the stitches, so that you can get those nice neat corners. Once its turned around and working sides of fabric are together, zip up the zipper and turn the garment inside out so that you are looking at the facing. 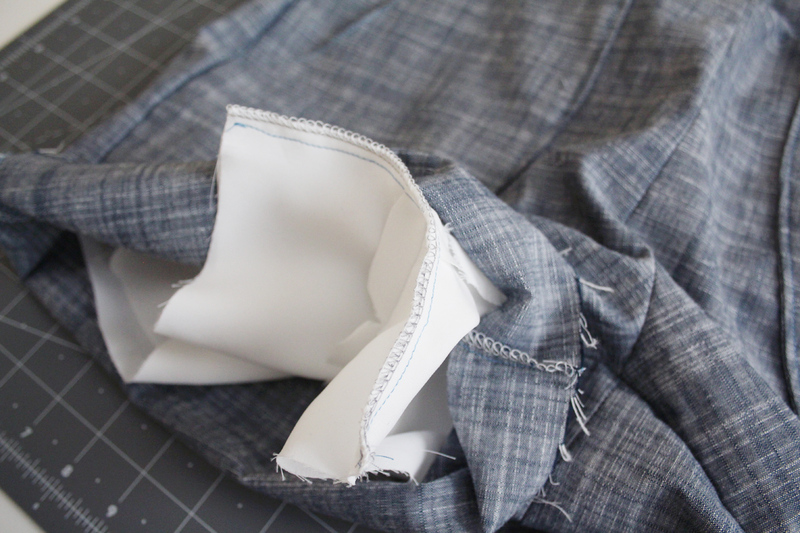 Hold up the unfinished center back section of the lining, and pin them together with right sides together. 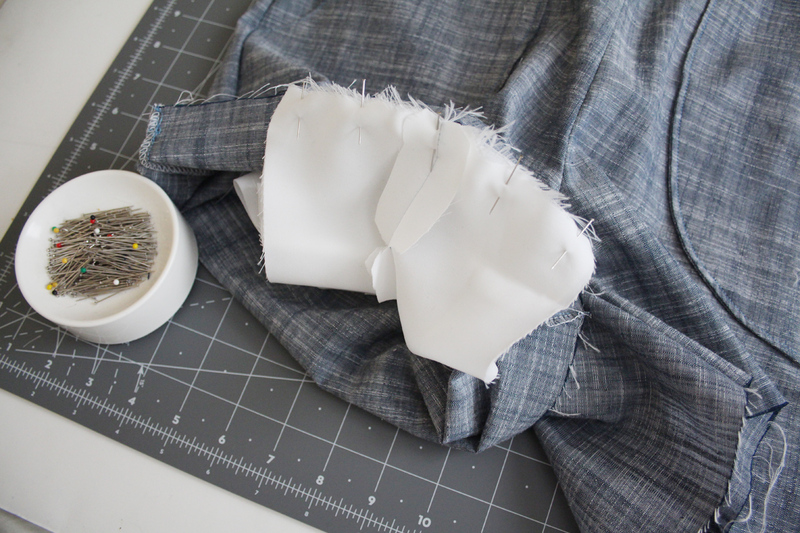 Sew 5/8″ from the raw edge, as far up as you can. It’s ok if theres a small gap between this set of stitches and where the lining is attached to the zipper tape. 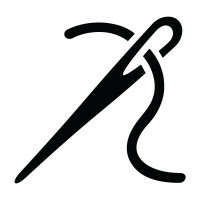 Clip into the curve and press the seam open. Now turn your shorts/skort right side out. Look! they’re almost done! 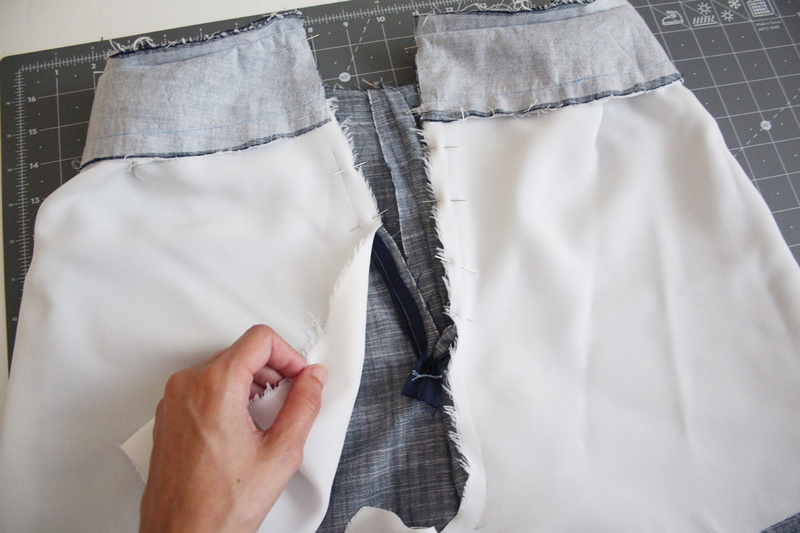 Pull the two layers of lining through one of the leg openings. 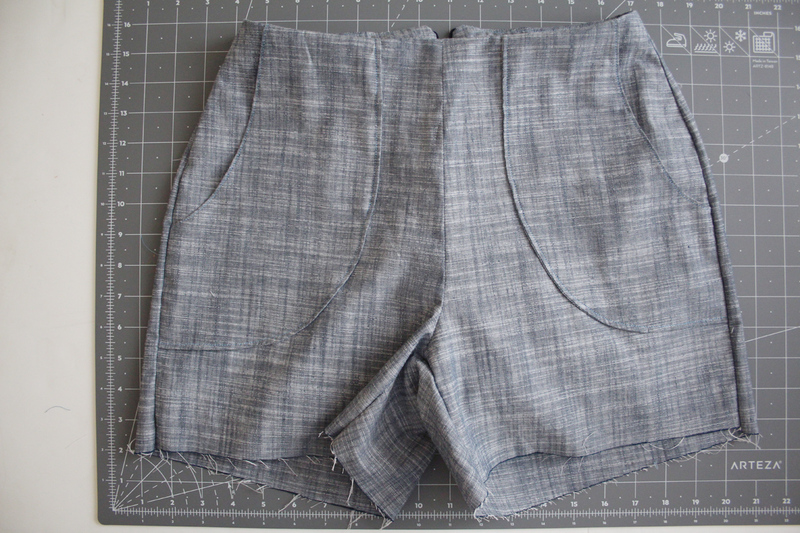 Match up the inseam, lining up the center seams, and pin in place. Sew in place 5/8″ from the raw edge, and finish the raw edge with your preferred method. You guys! Thats it! Now your shorts are fully lined! Here’s a look at how it looks both inside out and right side out. 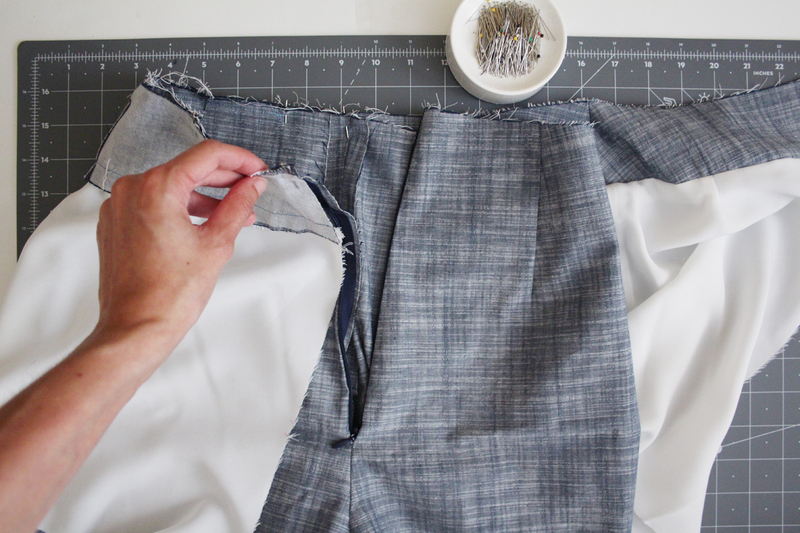 Now all you need to do is hem! Stay tuned for that in the next post.